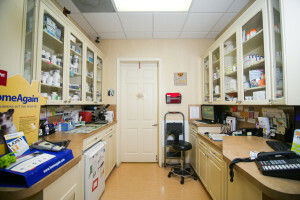 We stock the majority of all of your pet’s pharmaceutical needs. We now even have a new cephalosporin antibiotic injection call Convenia which gives your pet 2 weeks of antibiotic so you don’t have to hassle with giving pills or capsules! All of the prices on our heartworm preventative and flea and tick control prices are below what you will find on the Internet, and our products are guaranteed by the manufacturer. The laser beam stimulates the cells and tissue to be healthy. It also reduces inflammation so that healing can begin. By reducing inflammation, the laser is also a great tool for helping to minimize the pain of many chronic conditions, like arthritis. 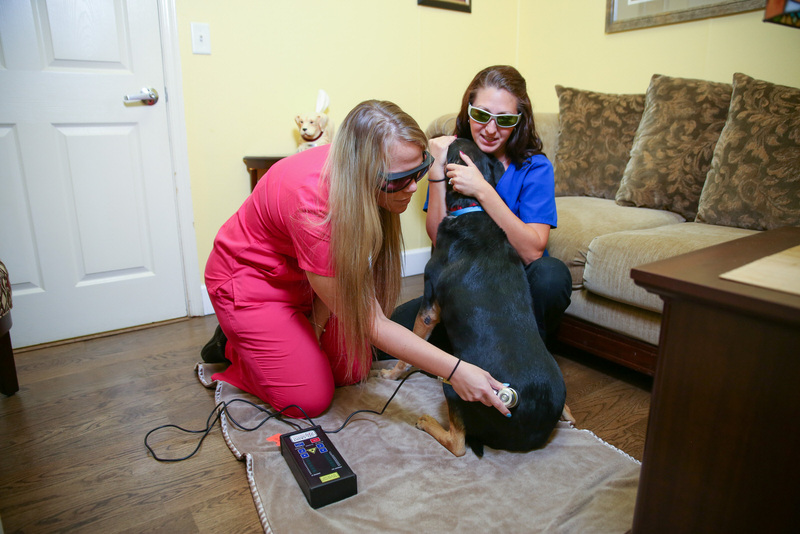 What will my animal feel when receiving the laser treatments? Laser therapy is a painless application of healing light. Your animal might feel a slight tingling as the light enters the tissue and cells, but it is very minimal if at all. The treatment time depends on how chronic the condition is and the depth the laser light needs to reach to be effective. However, almost all treatments will be between two and ten minutes. How many treatments will my animal need? The number of treatments can vary greatly based on the condition, but many pet owners notice a positive difference within three or four treatments. What are the cost of the treatments? 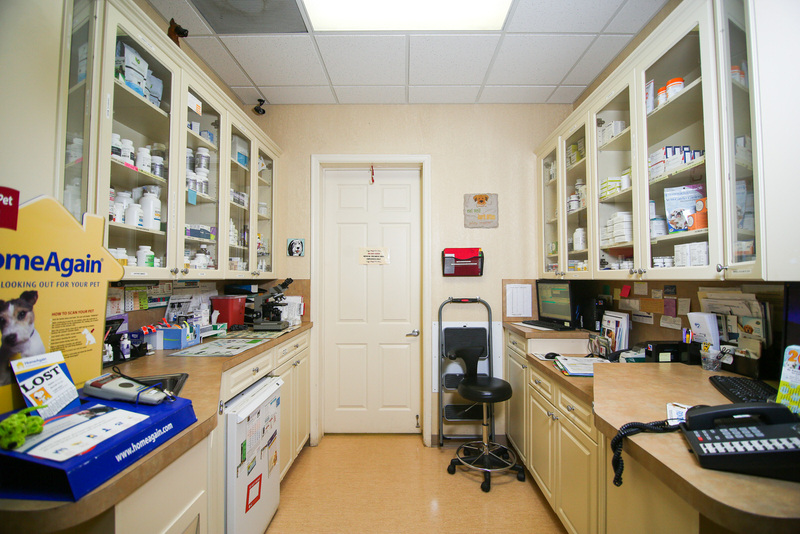 Talk to your veterinary staff as cost can vary depending on a if you purchase a package of multiple treatments, or would prefer to pay per treatment, but treatments are reasonable in cost. We are not able to guarantee the results on every animal. However, laser therapy has been proven to be effective in clinical studies and also in rehab settings in both human medical and veterinary medical. There are over thirty years of research which supports the efficacy of this holistic treatment.